So what is expected for the rest of the week. Well today we have potentially the largest data sets for the month with interest rate decisions being published by the banks on both sides of the channel. Any change here could be hugely significant changing prices not just for this week but for the months ahead, so if you are readying this and don’t need to look at markets for a few weeks or months it is still worth following these releases. Personally I don’t expect any change in policy at a central level but we could quite happily see commentary from the Europeans this afternoon change market values. Mario Draghi, the head of the bank follows the release with a press conference which is when this could happen. With data missing expectation across the single currency, a large Portuguese bank needing a bail out along with 3 Greek banks in the last 30 days. If you would like an update when this hits the press please register your interest by emailing hse@currencies.co.uk with a summary of your situation and contact details. The Head of the European Central Bank, Mario Draghi spoke to day at the Frankfurt European Banking Congress and the the spoke a great deal without really saying anything. His stance is the same, he feels that current stimulus is working to encourage growth within the Eurozone but he could implement further measures to improve inflation. In reality the Eurozone is in deep trouble, it is at the point of deflation. Quantitative Easing is not a proven method of boosting an economy. It has worked previously in other economies but is far from a 100% success rate, it is a last ditch attempt. Lets not also forget the amount of debt it will cause. The market has already factored in the ECB is willing to increase the amount of stimulus and lengthen the process so don’t excess massive movement when the QE program changes. As such it is an extremely good time to buy Euros. The highest point for GBP/EUR in the last eight years is 1.4407. It currently sits at 1.4306. We have seen how quickly the markets can change after Black Monday when GBP/EUR shot down to 1.34. If I were buying Euros I would get it done now, hanging on for the extra buck could prove costly. If you have a currency requirement I would be happy to assist, I have access to the best rates of exchange in the market. I can guarantee to beat any other brokerages exchange rates. You can contact me on 01494 787 478 or e-mail me at dcj@currencies.co.uk . Thank you for reading my blog, I really appreciate it. Sterling found some much welcomed support during yesterday’s trading, making gains against the majority of major currencies. The catalyst for this upturn was likely to linked to UK Services PMI figures, which came out at 54.5 and above the markets predicted results. This boosted investor confidence in the UK economy, with the Pound benefiting as a result as investors moved funds into Sterling during the early part of Monday’s trading. GBP/EUR hit 1.1260, whilst GBP/USD move back towards 1.39 at the high. Despite the single currency and the greenback finding some support in the afternoon, the Pound curbed any further losses following a disappointing end to last week. GBP/EUR rates were also boosted by some poor Eurozone data, with Services PMI data falling from last month’s figure. Retail Sales data was also mixed and this helped to support Sterling’s as European trading lines closed. Looking ahead and despite yesterday’s improvement for the Pound, I’m not anticipating a major upturn in fortunes for those clients with short-term Sterling currency positions to execute. Sterling’s value is being driven, for the most part, by sentiment around Brexit. With negotiations seemingly progressing at a slow pace, it hasn’t helped investors’ confidence in the long-term and as such, those clients holding GBP should be looking for short-term opportunities in the market. With UK economic data at a minimum this week, tomorrow’s Eurozone Gross Domestic Product (GDP) could hold extra week. Any figure above the 0.6% expected growth could put pressure back on the Pound. There is some key data on Friday to look out for, in the shape of UK Manufacturing & Industrial Production figures. 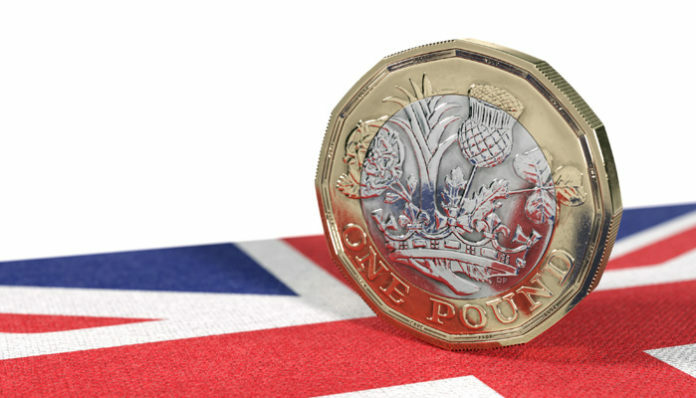 These are released alongside Trade Balance data and Consumer Inflation Expectations, so expect a volatile day for the Pound as we head into the weekend. If you have an upcoming Sterling currency transfer to make, you can contact me directly on 01494 787 478. We can help guide you through this turbulent market and as a company we have over eighteen years’ experience, in helping our clients achieve the very best exchange rates on any given market. The Pound has come under pressure during the early part of the trading week, following a run of poor UK economic data and renewed concerns over how Brexit negotiations are progressing. UK Manufacturing & Services figures released over the past few days came out below market expectation and this immediately put the Pound on the back foot. GBP/EUR rates have fallen back below 1.13, whilst GBP/USD rates are back below 1.40. Despite the Pound finding some support following yesterday’s sharp decline, it’s positive run seems to have come to an abrupt end. One of the reasons the Pound had performed well of late was due to an improved economic outlook, with growth forecasts raised in line with an upturn in the global markets. Add to this talk of prospective trade deals with the US & China post Brexit and this helped boost investor confidence in the UK economy, with the Pound benefiting as a result. These contributing factors have led investors to believe that the downturn the UK economy was likely to encounter due to Brexit, would at least to some extent, be offset by the upturn in global productivity. 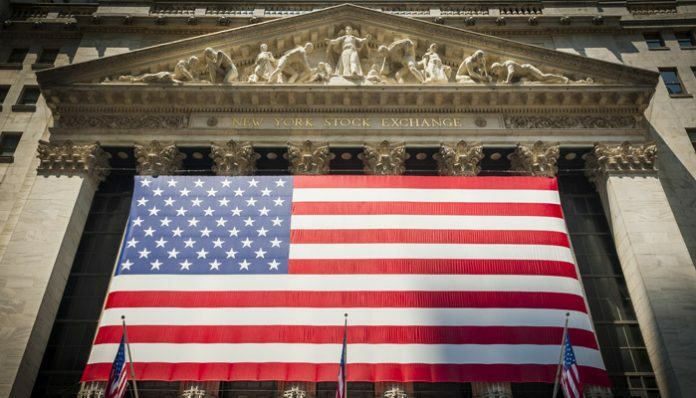 Yesterday’s stock market crash may now dampen those expectations, with the US, European & Asian markets losing considerable value as investors dumped their shares, causing the value on the Dow Jones to tumble by 4.6%. Whilst there is no direct correlation between the stock markets and currency exchange rates, any shift in global financial conditions can have knock on effects for an economy and ultimately this will impact the value of their currency. Any clients with a Sterling currency requirement are now looking towards tomorrow’s Bank of England (BoE) meeting with hope rather than expectations, as it is very unlikely that we will see a shift in stance by the central bank. It is likely they will keep interest rates on hold and the current monetary policy stimulus unchanged. What investors will be looking for is any significant comments made by BoE governor Mark Carney regarding the current state of the UK economy and its outlook. Personally, I believe with inflation levels rising again and Carney seemingly against any rate hikes in the short-term to help counter this issue, it is unlikely that his comments are going to be overly bullish. If you have an upcoming Sterling currency transfers to make, you can contact me directly on 01494 787 478. We can help guide you through this turbulent market and as a company we have over eighteen years’ experience, in helping our clients achieve the very best exchange rates on any given market. The Spring Statement was released yesterday and this was received relatively well and this gave Sterling exchange rates a small boost vs both the Euro and the US Dollar. One of the positive points was that he increased the growth forecast to 1.4%, which is slightly higher than what was predicted a few months ago. Hammond also commented that national debt would fall during this year and next. 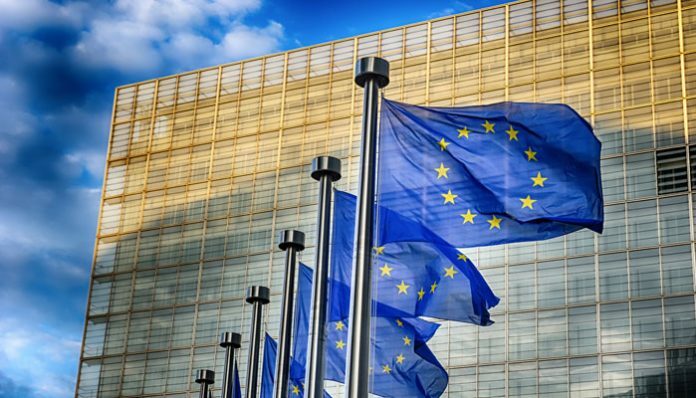 In the next couple of weeks the EU summit is due to take centre stage and could be the catalyst for a great deal of movement for Pound exchange rates as at the heart of the summit will be what will happen with the UK’s relationship with the European Union in the future. The transitional period which is due between March 2019-December 2020 has been a sticking point for both sides recently and this will be a hot topic during the next fortnight. This is likely in my opinion to have a big impact on Sterling exchange rates so make sure you’re prepared if you have a currency transfer to make this month. Turning the focus to what is happening on the continent European Central Bank President Mario Draghi is speaking this morning and he has already suggested that underlying inflation remains ‘subdued’ and this could mean that the current QE programme may not be coming to an end as early as some may have expected. There are a number of important data releases coming today starting with Industrial Production data as we ll as Employment figures due out at 10am. Later on this afternoon US Retail Sales are due so we could see GBPUSD rates possibly track towards 1.40 if the data is lower than expected. If you are in the process of exchanging currency at the moment and would like further information or a free quote then contact me directly and I look forward to hearing from you. Having worked for one of the UK’s leading currency brokers for 15 years I am confident of being able to offer you better exchange rates as well as helping you with the timing of your transfer. Will the Pound to Euro rate go up or down? Will the pound or Euro go up or down in the coming weeks or months is a very valid question as there are so many upcoming events to move the rates. I would predict a range of 1.13-1.20 in the coming weeks as we get answers to some very important questions over Brexit and European affairs. If there is one thing the currency markets are not fond of it is political uncertainty. Markets can just about digest economic uncertainty as investors are used to assessing economic data on a daily basis. However political events, particularly the unique nature of current affairs make for some much more interesting outcomes for the pound to euro exchange rate. The pound to euro rate could fall and easily retest the lower levels of 1.1298 seen in 2017 as well as the 1.1068 seen back in October. These big falls in sterling were all due to worry over the Brexit and as such these levels could easily be revisited. The actual triggering of Article 50 could be anytime in the next month, if you have a transfer to consider with pounds or euros making a decision or some plans before this happens seems very sensible to me. For my clients I am currently drawing up strategies to help cope with such volatility for the pound, if you would like information on a strategy to suit you please email me Jonathan Watson at jmw@currencies.co.uk. What kind of deal will the UK actually get with the EU? Will this have a large detrimental effect on the UK economy? Will Theresa May’s determination to put immigration and sovereignty above economic certainty harm the UK? These are just some of the questions looming which could well lead to the pound coming under some serious selling pressures again in the not so distant future. Euro buyers with pounds need not jump out of the window quite yet. Whilst sterling may well fall the recent trend has been more positive for sterling as investors finally get some clarity over the Brexit. Of course this is just one step on a long journey but it might be that markets do not view Brexit so badly now? Only time will tell, personally this is not a risk I would be wholly advocating. Considering GBPEUR is currently at some of the best deals in 2017 some 4% higher than the lows, now is clearly not a bad time to be considering your Euro purchase. Further good news for Euro buyers is the political uncertainty emanating from events in the Eurozone. 20th February sees the Eurogroup meeting to discuss the problems of Greek debt. Then 15th March sees Dutch Elections which could well weigh on the Euro. Moving into April on the 23rd we have the French elections. With plenty of fresh headlines around such events likely to weigh on the Euro we could see some better opportunities for Euro buyers. I would not rule out rates over 1.20, we are not far from that now. If you wish to buy Euros at 1.20 please email me on jmw@currencies.co.uk and I can monitor developments for you. It might be that the pound to Euro rate rises on Greek fears in the next week before dipping once Article 50 is triggered and then rising again around the Dutch election. I would honestly be predicting swings of up to 2-3 cents on certain days as markets get wrong-footed and we see surprises trigger volatility on the markets. Whilst it is impossible to accurately predict the outcome of the events above it is possible to make plans and preparations. As part of my personal strategies for personal clients and businesses who need to conduct pound to euro exchanges I can explain all of the options available and offer my personal proactive service to monitor the market. For more inf ormation at no cost or obligation please do feel free to get in touch with Jonathan Watson by emailing jmw@currencies.co.uk. I have appeared on BBC News discussing the Brexit and have been quoted in numerous online articles and newspapers. I cannot tell you exactly what to do but I am very confident I can offer some useful insight and information to help you get the most from the market. 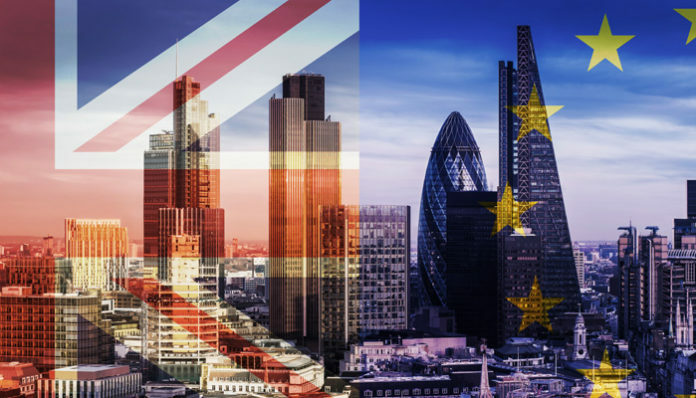 GBP/EUR and GBP/USD have seen their second consecutive day of serious gains on the currency markets, putting smiles on the faces of Dollar and Euro buyers who were biting their nails looking at rates only a few weeks ago. The change over the past week is that gains on the markets are sticking. Short-term bumps upward had characterised the market place given the jumpy nature of investors in the run-up to the Referendum vote. But the two-week period of almost total stability (for example when GBP/EUR barely changed between the 1.26-7 at the beginning of the month) has given greater confidence to the market-place. Normal trading patterns have re-emerged with traders at high street banks (the ones who move the volumes large enough to effect currency exchange rates) which has given the Pound a bit more life. 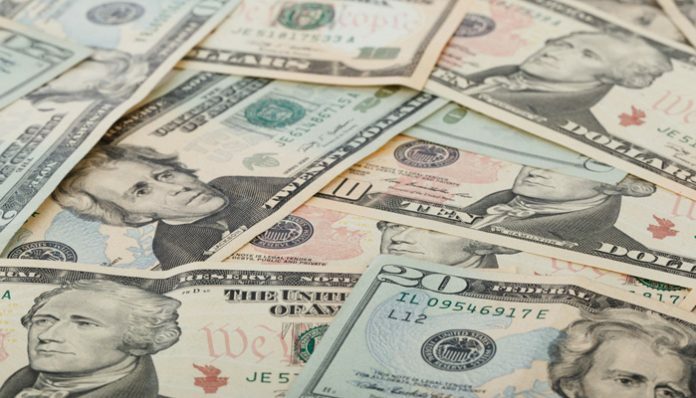 To summarise, relative stability has allowed investors to stay on the ship longer rather than bailing too early as the exchange rates in April proved many were prone to do. The polls for the Referendum are still largely uncertain. The remain camp has been boosted (another factor in the increased stability), but the variation in polling results is still staggering. Even individual polling companies are seeing stark difference simply on how polls are conducted. Ipsos-Novi found that on their recent telephone poll the remain camp were 8 points yet on their online poll the leave camp were up by 4! Their is still quite a lot to play for, and when factoring in voter turnout rates anyone buying foreign currency using Sterling still be wary of this unprecendented period of volatility we are about to enter into when June and the heavy campaign season comes around. As early as tomorrow morning the economic arguement is also set to eat into the recent gains made for buying Euro and Dollar rates. Growth figures for the UK economy are to be released before lunch, and after April’s showing where the EU actually outpaced the UK, it is likely that we’ll see a similar drop in the Pound’s value. With no other releases before the start of the next month on Wednesday, this should continue to be the dominant narrative for GBP/EUR, GBP/USD, and GBP/AUD exchange rates. I strongly recommend that anyone with a foreign currency requirement should contact me on jjp@currencies.co.uk. I have never had an issue beating the rates of exchange offered elsewhere and a brief conversation could save you thousands on your transfer. If you detail your requirements, whether immediate or over the next few months, as well as the best number to reach you on, I can contact you before UK markets open in the morning to discuss your options in using a currency exchange brokerage and offer a live quote for any of the options which peak your interest, and comply with your risk appetite. FXstreet.com’s analyst Valeria Bednarik says in the article below that the UK “monetary independence is both a blessing and a curse”, good point given the problems over the Eurozone periphery. It seems to be accepted by the market that the BoE is focused on inflation and not the recovery, as the BoE´s governor Mervyn King and Chancellor George Osborne have been busy these last six months. Looking at the numbers, year-over-year inflation was up around 4.2% in June, leading to speculation of a rate hike which could threaten the economic recovery, as growth remains stagnant with the quarterly GDP at mere 0.5% in Q1. What happened during the first half of 2011? Too much news and too many decisions from the market, What will happen in the second half? Valeria tell us in the article below “TUG OF WAR: Growth vs. Inflation”. This is the fifth issue of our FXstreet.com mid-year check up series, today delving into the situation in the UK with the Pound as the main character. With the crisis the world is living through right now, if there is something to say about the UK it is that their monetary independence is both a blessing and a curse. Back in 2008 when the financial world collapsed following the US housing mortgage crisis, that economic independence had let the UK act in proper manner, and the BOE quickly reacted by cutting rates, creating the assets purchase facility program, and in general favoring a re-balancing of the economy. Problem is, things haven´t gone according to the plan, despite the huge devaluation the UK is still struggling to recover. And with growth still remaining mostly stagnant, the recovery path seems harder day after day with overwhelming negative fundamental data and rising inflation. At one point, we may wonder whether the UK is actually advancing or at the verge of a another financial collapse. Especially if things remain unchanged and Chancellor George Osborne continues to insist that the government hold its nerve by not deviating from his plans to cut borrowing, despite the increasing evidence that this policy may be damaging growth. The United Kingdom GDP expanded just 0.50% over the first quarter of 2011, compared to the previous quarter. From 1955 until 2010 the UK´s average quarterly GDP Growth was 0.59% reaching a historical high of 5.30% in March of 1973 and a record low of -2.50% in March of 1974. While among the worlds’ most developed economies, it´s growth has never been close to outstanding, as we see from the previous figures, yet the main reason of the latest disappointing results may be found in a stalling manufacturing sector, a contraction in construction, and a sharp drop in oil and gas extraction. If something is giving support to the Pound these days, it is the strong oil near $100 a barrel. The bottom line is that when it comes to economic growth, the risk remains to the downside in the UK. When it comes to the labor sector, the unemployment rate was 7.7% back in May. That’s barely above the 7.22% average from 1971 to 2010, so despite it being not a positive figure, at least the sector is among one of the better all things relative. The latest reading in June showed the unemployment rate was down 0.1% over the quarter and 0.1% on the year. Still the report showed there where 1.52 million people claiming unemployment allowances which was an increase of 24,500 from May. In particular, the number of men claiming allowances increased by 15,000 to reach 1.03 million and the number of women claimants increased by 9,500 to reach 493,900, the highest figure since August 1996. While the UK has cut down their interest rate benchmark to 0.50% where it has remained steady since March 2009, inflation keeps rising above the BOE´s tolerance limit and was last reported at 4.2% in June over the year. From 1989 until 2010, the average inflation rate in the United Kingdom was 2.72% reaching a historical high of 8.50% in April 1991 and a record low of 0.50% in May of 2000. While back in May this year, the BOE’s governor Mervyn King said that inflation was “uncomfortably high,” and officials signaled they may need to raise interest rates later this year even as the economy struggles to build momentum. Interestingly however, the fact is that just one month later the central bank turned back towards it´s prior dovish stance, with 7 out of 9 members voting to keep rates on hold. The flip from hawkish to dovish, has come after the committee lost its hawkish member, Andrew Sentance, in May this year. And while the idea of keeping rates low to jump-start growth remains, inflationary pressure keeps rising. The thing is that the BOE would rather focus on containing inflation, rather than stimulating employment or growth. If inflation keeps rising towards 5.0% as Governor King expects, the BOE will may have no choice but to rise the benchmark in an attempt to control it. At the same time, economic growth will hardly gain traction without the help of the central bank, while the UK continues applying their assets purchase program, or QE, as they can’t remove it but only extend it: the quantitative easing program is another inflation generator for the economy. Up to this point, the tug of war the bank is trapped in will not result in a positive outcome no matter which side wins. The BOE will have no choice but to sacrifice growth to contain inflation. While a rate hike may be expected by the end of this year, and we usually understand rate hikes as positive for a currency, I won’t be expecting too much strength for the Pound, not even after a rate hike. Unless some signs of recovery start improving the sentiment over the UK economy, the Pound is set to extend its losses over the second half of 2011. If you have an upcoming currency transfer to make contact me Daniel Wright by emailing djw@currencies.co.uk or by filling in the enquiry form on the right hand side of this page. The pound reached its highest level against the US dollar at the close of play on Friday when cable (GBPUSD) exchange rates broke through 1.37. The pound also made considerable gains against the Australian and New Zealand dollar when rumours filtered through to the markets that the Spanish and Dutch finance ministers had agreed that they seek the softest Brexit deal as possible, however both parties have denied the rumour, but this hasn’t stopped the positive run for the pound. The relationship at present between the UK and EU negotiations is strained to say the least. So far this year UK Brexit Secretary David Davis complained the EU is scaremonger UK firms that have affiliation with Europe and the Chancellor Philip Hammond went above head EU negotiator Michel Barnier and gave a direct plea to the leaders of the European countries. So far the commentary coming from other key political leaders from the UK and EU that are not directly involved with the negotiations have been muted. However if it’s true and key figure heads such as finance ministers start to announce they want the UK to remain as close to possible to the EU, this should only be good news for sterling exchange rates. For the last three months I have said it is clear that the UK and EU are trying to find a solution and I believe at some point this year the UK will form what Theresa May likes to call a ‘special arrangement’ therefore I expect the pound to begin its recovery against the G10 currencies. If you are reading this website for the first time and are looking to purchase sterling I believe you should take advantage now. Short term all eyes will turn to this weeks inflation numbers released at 9.30am on Tuesday. Reports are suggesting that inflation could rise again this month to 3.2%. 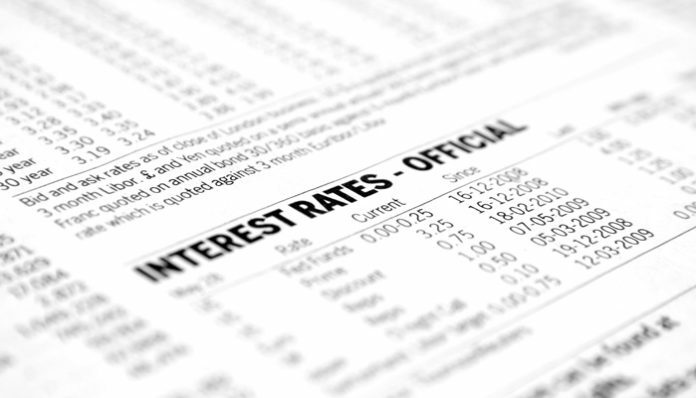 With inflation rising globally we have seen central banks raise interest rates in a bid to combat the rising inflation levels and the Bank of England did this late last year. If the numbers rise to 3.2% this puts further pressure on the Bank of England however medium term forecasts are suggesting inflation will fall back below 3% and closer to 2.5%. Later in the week Retail Sales numbers for December are to be released Friday morning at 9.30am. With the Christmas festivities yearly Retail Sales numbers should increase again this could be another data release that benefits people that are looking to purchase a foreign currency. The only currency that the pound is not performing well against is the Euro and exchange rates remain in the lower teens. For more information surrounding GBPEUR exchange rates email me directly on drl@currencies.co.uk. To summarise I expect it to be a fairly positive week for sterling however it is always important to analyse the other currency that you are converting. For example, I expect the pound to continue its charge against the US dollar as President Donald Trump continues to defend his comments that have been branded racist. Where as the Bank of Canada are likely going to raise interest rates Wednesday therefore Canadian dollar buyers should move before Wednesday. If you would like a further forecast on a certain currency pair and are looking to achieve the best possible exchange rates on your currency transfer feel free to email me directly on drl@currencies.co.uk. Sterling exchange rates have had a mixed week , with political issues weighing down the Pound in the early part of the week, coupled with inflation dropping off to 2.9% from 3.1% last month. Inflation is now at a frustrating figure as far as the market is concerned as with the drop off it will stem the flow of the chance of any further interest rate movements from the Bank of England, however it is still high enough that it will have a negative impact on the economy, as it leaves consumers with less money in their pocket to spend. Unemployment figures remained fairly steady on Wednesday and did not create any surprises and then finally yesterday Retail Sales figures, although they were poor they did come out better than expectations which led to a slight rise in the value of the Pound. 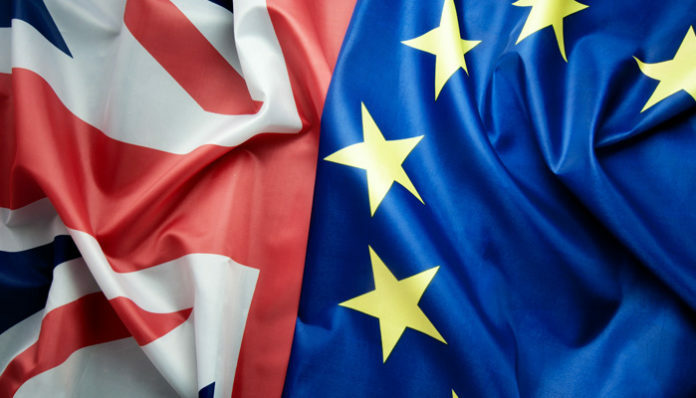 All in all the week has been fairly flat in general, brexit talks are continuing and will no doubt keep on providing the market with speculative news to feed off of and the current position for Theresa May will also be monitored very closely too. Next week we have the inflation report, the budget and growth figures as far as important economic data releases are concerned and I feel like we may have a much more volatile week to look forward to. It is a tricky time should you be in the process of buying or selling an overseas property, timing is crucial and from one week to the next the change in rates can cost or make you thousands of pounds. Should you be in this position and would like a helping hand to judge the timing of your transfer, along with getting the very best rate for your exchange when you come to do it, then we are welcoming new clients to get in touch with us. Feel free to email me (Daniel Wright) on djw@currencies.co.uk and I will be more than happy to contact you personally to help tailor a game plan for your specific needs.